Interested in our training program? Set up a consultation to see if our program is a right fit for you. The Minneapolis Yoga Training LLC. program offers one of the longest running and most comprehensive yoga study and training experiences in Minnesota and the Midwest. Over the past 19 years we have worked hard to bring you high quality, in-depth teachings in a comfortable and flexible learning environment. We offer lifelong learning opportunities from our 230-hour foundational yoga training program to specialty populations trainings and a 300-hour yoga training program to advance your studies. Our teachers and facilitators are experienced and uniquely qualified in what they teach and are master teachers in the field. Each program and training is designed to meet and respect your needs as an adult learner and provide a transformational experience. To find out more about which program is right for you please call or email us at mplsyogatraining@gmail.com or 952-582-1271. The Yoga Center Retreat offers a foundational 230-hour yoga training program created by founder, Jennifer Gray. Our program offers a flexible 9-month and yearlong terms. Learn more about our 230-Hour Yoga Training Program. 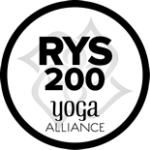 The Yoga Center Retreat offers an 300-hour advanced yoga training program for those who have received their 200-hour yoga training certification. This program offers flexible 14-month and 20-month programs. Learn more about our 300-Hour Advanced Yoga Training Program.